(Natural News) If there is such a thing as a “miracle plant,” the hemp plant (Cannabis sativa L.) would most likely be the main contender for the title, given its multiple health benefits. In a study in the journal Phytotherapy Research, a team at the University of Messina looked at the plant’s antioxidant properties, as well as the chemicals responsible for this benefit. 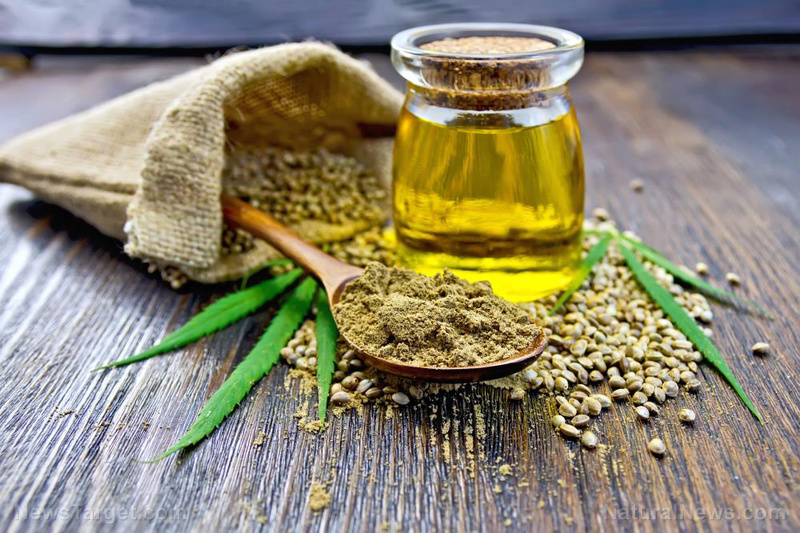 For their study, the team used finola hempseed oil, a variety of hemp popular in the U.S. and other parts of North America. The variant is widely grown in Canada, where it makes up a third of the hemp crops planted in the country. They obtained two fractions from hempseed oil, which they subjected to various tests. Based on the results, both hempseed oil derivatives exhibited significant antioxidant properties. This meant that both variants of finola hempseed oil could protect the body from the damaging effects of oxidative stress, a risk factor in many chronic conditions such as diabetes, heart disease, and even cancer. The hemp plant gets a bad rap for all the wrong reasons. It mainly stems from hemp’s association with marijuana — its well-known (and controversial) relative. Indeed, while both plants are variants of Cannabis sativa, hemp (and hempseed) does not contain the psychoactive ingredient THC, which is short for tetrahydrocannabinol. In particular, many people consider hempseed as a superfood, given its bevy of health benefits. Hempseed contains protein and fiber, as well as essential fatty acids like omega-3 and omega-6. It also has antioxidant properties, which makes it beneficial for the heart, skin, and joints. Here are just some of the many benefits a person could get from adding hempseed to their diet. Only a handful of plant-based foods can be considered rich sources of protein — and hempseed is one of them. The seeds not only have as much protein as soybeans, but they also contain high amounts of arginine, which helps with heart health. They also have a good amount of polyunsaturated fats which are crucial for overall health. Hemp seeds are also a good source of fiber: One serving of hempseed has around 1.2 grams of fiber, which can improve gut health and help with weight loss. Finally, it contains a number of essential nutrients, including vitamin E, potassium, and phosphorus. A study in Food Chemistry revealed that hempseed extract is a great source of antioxidants, thanks to its cannabidiol (CBD) content. Earlier studies on CBD have found that it can also regulate the immune system and protect the brain from certain neurological conditions like Parkinson’s disease, Alzheimer’s disease, and multiple sclerosis, among others. The seeds are rich in omega-3 fatty acids and arginine, two compounds which are known to protect the heart from arrhythmia and heart disease. Arginine, in particular, becomes nitric oxide, an essential compound in ensuring blood vessels are properly dilated, as well as keeping blood vessel walls smooth and elastic. While eating hemp will not produce a mind-altering effect, people who regularly undergo drug testing (like athletes) should consume it in regulation, as it can lead to failed urine tests — an effect similar to what happens after eating poppy seeds.